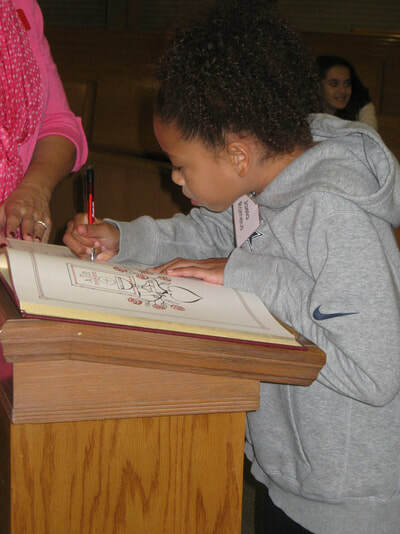 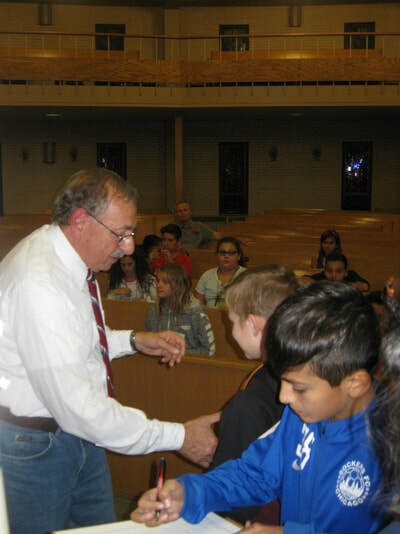 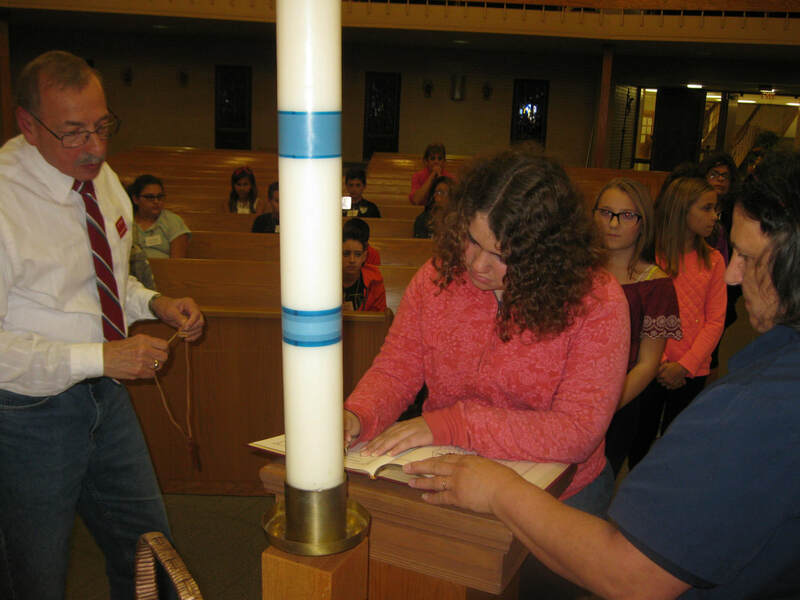 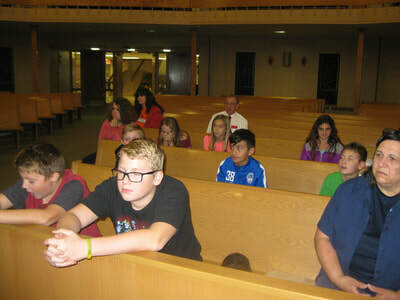 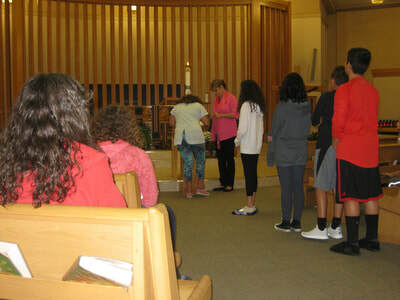 Sixth grade students in the Religious Education Program are taking the first step of their journey to Confirmation in eighth grade. 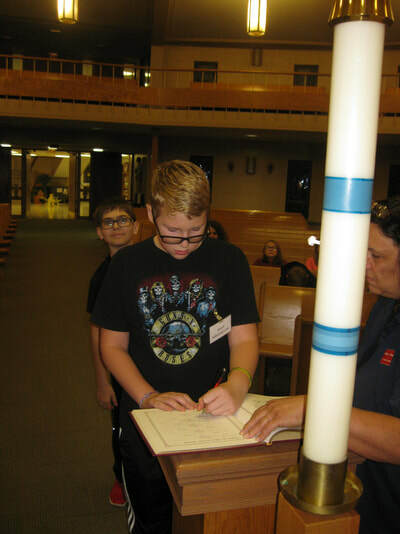 As a sign of their commitment to this process, they participate in a Rite of Enrollment service, which usually takes place in October. 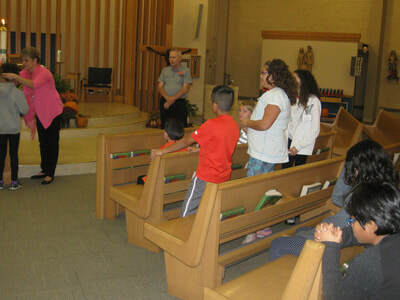 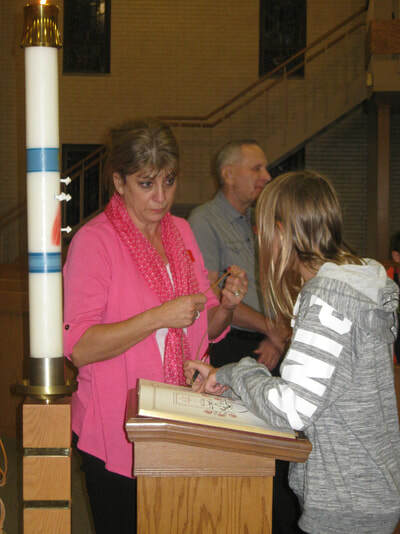 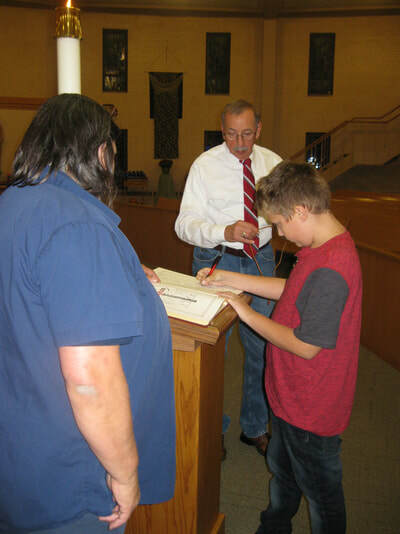 They sign their names in the Book of the Elect and receive a wooden cross as a tangible reminder of their commitment. 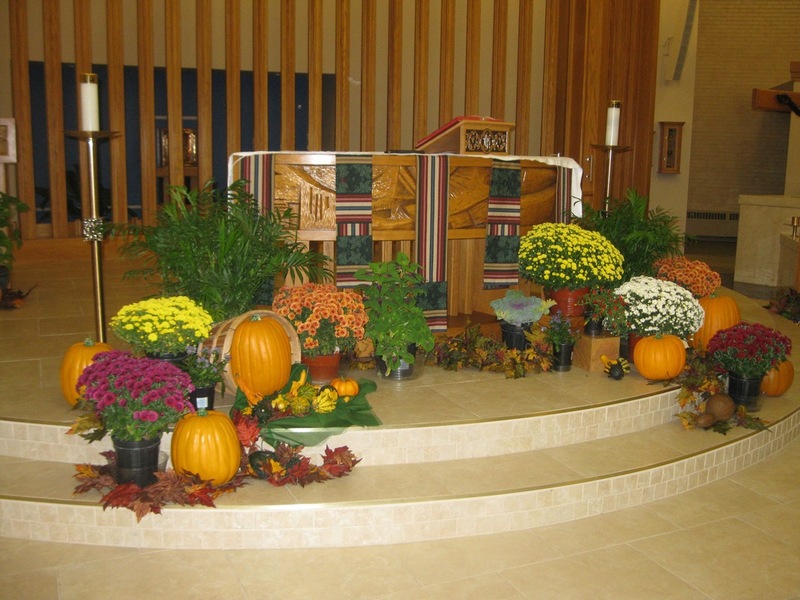 This year the service took place on October 18, and pictures from the event are below.